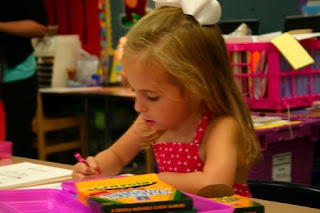 Today was the first day of first grade for Emma... in a brand new school! The day was picture perfect in every way! God had orchestrated a sweet plan and we got to see His faithfulness unfold. This has been a HUGE step of faith for me, as well as Emma. It has been SO fun to watch as God has surrounded us (all of us) with an incredible community of neighbors and friends! I’m very thankful for these... Amy, Mark, Joelle, Elaine, Lisa, Ashley, Hailey, and Gina. Thank you all!! !